Published September 18, 2018 at 11:28 a.m. Updated September 20, 2018 at 10:24 a.m.
Ohio Issue 1 is a controversial constitutional amendment on the ballot in November that targets Ohio's treatment of drug-addicted citizens. Issue opponents Ohio Supreme Court Chief Justice Maureen O’Connor, Judge John Durkin, and issue proponents Stephen JohnsonGrove and Shakyra Diaz. 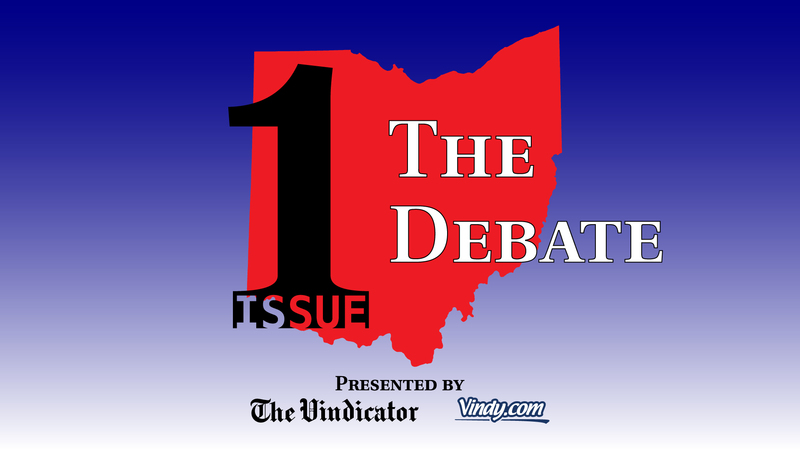 You can watch the debate live here in what is an Ohio exclusive this election season. Vindicator Editorial Page Editor Bertram de Souza hosted the event with colleagues Rick Logan and Dave Skolnick. You can read here Bertram's overview of the issue and the Wednesday debate. Last week in The Vindy, we featured two opinion pieces on the issue — one supporting; one opposing. Dennis Baker worked 28 years in corrections, including at the Ohio State Reformatory. This is his supportive article. Justice O’Connor is a vocal opponent of the measure. She offers these reasons. September 16, 2018 12:01 a.m.
September 20, 2018 12:01 a.m.
September 18, 2018 1:28 p.m.
September 19, 2018 11:50 a.m.
September 18, 2018 11:22 p.m.